In tablets, the big guns have big names. Apple has its iPad 4 and Google has the Nexus 10. And, if Microsoft is to take on the might of Apple and Google in the tablet space with Windows 8, it needs a big name of its own. 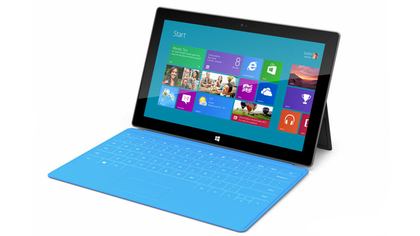 Microsoft Surface is the poster boy for Windows RT too, the brand-new version of Windows 8 designed for ARM. Other Windows RT tablets and hybrids are available, including the Asus Vivo Tab RT, Lenovo Ideapad Yoga 11 (though that is getting an Intel processor soon), and Dell XPS 10. Toshiba pulled out from Windows RT production before it even released a single RT device and Samsung has scaled back. There’s also an Intel version of Surface running Windows 8 Pro and called Surface Pro. Surface RT is now available online and from many retail outlets, although initial sales have been slow and even Microsoft’s partners have criticized Windows RT’s performance in stores. 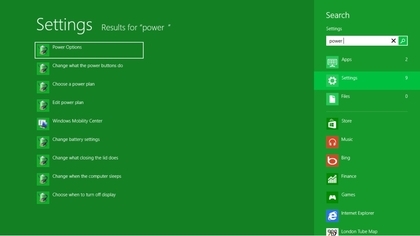 Find out: Windows 8 vs Windows RT: what’s the difference? Creating a flagship brand for Windows 8 is a clever move, no doubt a tactic learned from the success of the Samsung Galaxy Nexus that heralded Ice Cream Sandwich, the Google Nexus 7 for Jelly Bean, and more recently, the Nexus 10 for the completely anonymous Android 4.2. 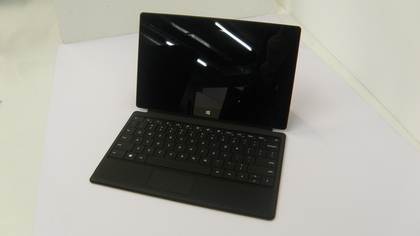 But there’s no danger of Surface being branded as a clone of rival 10-inch tablets. It boasts a distinctive design, helped by those unmistakable keyboard covers, enjoys a 10.6-inch widescreen display, and runs a version of the most popular operating system on the planet. 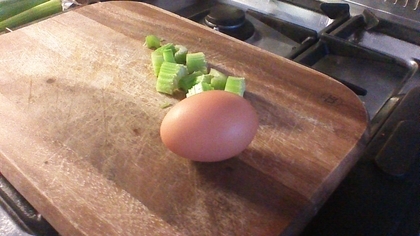 But there’s a crippling caveat which might be its undoing. Windows RT won’t run old PC programs, so any trip to the internet to download legacy programs such as VLC Player, or even big-name offerings like Photoshop Elements, just won’t work. 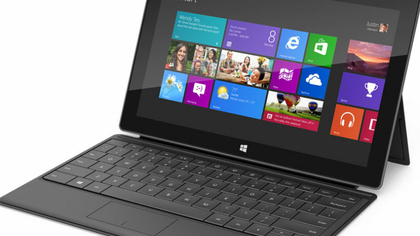 For that you need Surface Pro, or any Windows 8 device featuring an Intel processor. 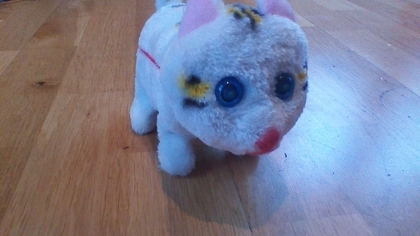 It has the potential to cause mass confusion and the power to sink Microsoft’s figurehead before it’s even taken off. On picking up the Surface one single sentiment falls from the mouth of every man, woman or child without fail: "It’s thicker than I thought." 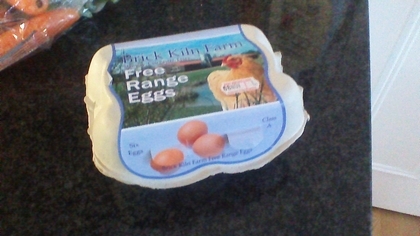 That is factually nonsense. At 9.4mm thick, it’s exactly the same thickness as the iPad 4, except that instead of masking its true girth with tapered edges, Surface’s design looks as if it’s been chiseled from a slab of slate. It’s square and boxy, but fresh looking and the magnesium ‘VaporMg’ coating gives it a cool finish. 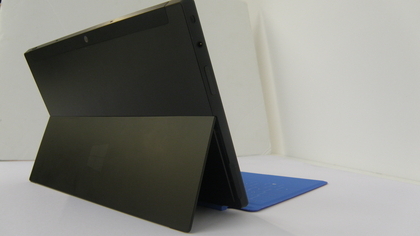 At 690g Microsoft Surface is noticeably heavier than its rivals. The iPad 4 weighs 650g due to shedding an inch of screen, but Surface feels richer for the extra space. 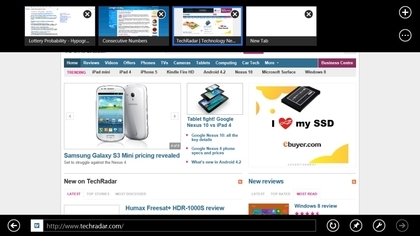 The 16:9 screen is suited to Windows, it enables you to multitask apps and ‘snap’ them literally side by side. It feels like you’re using a laptop and that’s a big leap towards a genuine hybrid experience. 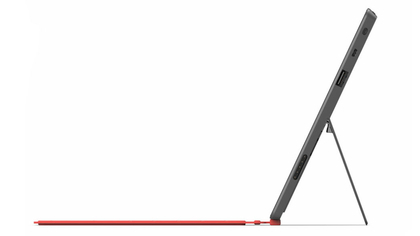 Of course, the rear kickstand is an iconic part of Surface. It’s also made of metal, and does a good job of propping up your tablet – to an angle of 22 degrees – even when on your lap. However, we’d have liked it to be more adjustable – at the moment it has just one position – and a button release would also be handy as you need nimble fingers to pull out the stand. It’s also larger than the iPad – the screen is a 10.6-inch 1366×768 IPS panel, which falls short of the full HD displays of the Sony VAIO Duo 11 and Asus Taichi, but still looks clear and crisp. It’s not going to win any awards for screen vibrancy, and certainly never going to challenge Retina, but it’s good enough – and helps Microsoft keep the price down to a reasonable level. 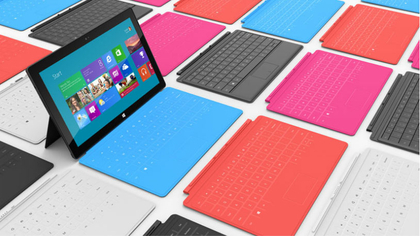 A keyboard-less 32GB Surface costs £399, the same as an iPad 4 with half the storage. Under the hood is an Nvidia Tegra 3 processor, with the ARM technology that drives this new Windows RT operating system. It’s the same you’ll find in high flying Android tablets such as the Asus Transformer Prime and Google Nexus 7. There’s also 2GB of RAM. We’d love to say that it walked through every task that we threw at it, but in all honesty, we feel that Tegra struggles in Windows. The system felt responsive to navigate but apps lingered on their splash screens for uncomfortable periods, seconds longer than they should. There was no jerkiness or hangs, just a lethargy that frustrates when you’re in a hurry. We tested the 64GB Microsoft Surface, which offers plenty of storage, and even a Micro SDSX port hidden under the kickstand, which enables you to boost storage by another 64GB. That makes Surface a great deal when you consider that you can get nearly 100GB of storage for the same price as the 16GB iPad. That’s also not including the USB port for connecting USB storage, as well as traditional Windows peripherals. Being able to plug in a memory stick in is especially refreshing, and makes Surface a genuine alternative to the iPad. There’s currently no 3G option for Surface, and with no dongles compatible with Windows RT at present, that’s not an option right now. Of course, one of the headline features is the Touch Cover, the clip-on keyboard that enables you to use your Surface as either a tablet or laptop. 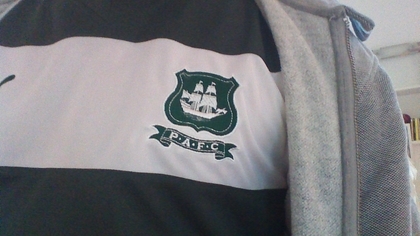 It feels shockingly light, as if it’s made of cardboard. Typing takes some getting used to, and the click sound that’s used to denote a successful key press is essential to effective typing, as the lack of tactile feedback can be disorientating. However, the keys are sensitive and speed typing is certainly possible with a few hours of practice. What’s more, despite the flat keyboard feeling like it’s been hewn from old egg boxes, it features a multi-touch trackpad, should you want to use a mouse while in the traditional Windows interface. The Touch Cover maybe a triumph of design but we would heartily recommend investing in the Type Cover for comfortable typing. This offers a much more natural typing experience, and is one of the most spacious tablet keyboard accessories we’ve used. It’s much more comfortable and can easily be used for longer periods, but it does have an annoying flex in the middle, so the keys tend to bounce if you’re a heavy typist. 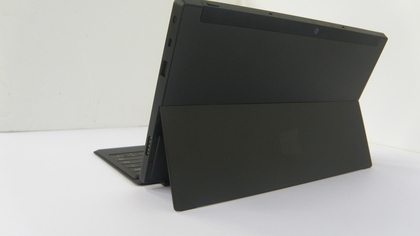 We’d still recommend it, but it will cost you: the Type Cover costs an extra £110, rather than £80 for the Touch Cover. Microsoft Surface runs Windows RT in its purest and most vanilla form. Windows 8 doesn’t have the capacity for skinning that we’ve seen on the likes of Android, although we wouldn’t put it past some manufacturers to add their own awful overlays. 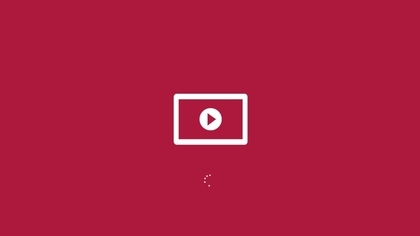 If you’re not familiar with Windows 8, let us give you a quick synopsis. 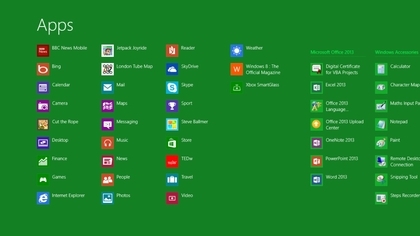 Windows 8 and Windows 7 are essentially identical, except that the Start menu has been axed in favour of a Start screen, a giant colourfully-tiled HTML 5 overlay, through which everything must be run. You can drop back to the traditional desktop, but without the Start button, you’ll find it extremely limited. The Start-screen menu is a big jump even for the most experienced Windows user, but it doesn’t take long to show its worth, and it’s clear after a few hours of use that it’s intuitive, beautifully designed and solidly built. The big tiles, which push information such as new emails and news headlines to you, are super touch-friendly, which is perfect for tablets such as Surface, and can be moved around to create a custom mix not only of apps, but also pin contacts, books, movies and more. The only criticism of the Start screen is Windows 8’s appearance of ‘my first PC’, and power users are the most likely to bemoan its introduction. The same back end is present, but to access it one must use the search charms from the right-hand corner. Of course, there are already hacks and workarounds to restore Windows 8 to its normal state, but for touchscreen devices like Surface, this would be a disaster. 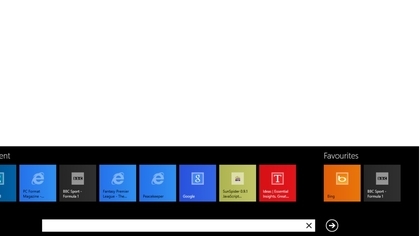 A common misconception is that the traditional desktop isn’t available in Windows RT, but that’s not true; it’s accessed via the desktop tile on the Start screen, but its relevance is severely diminished. 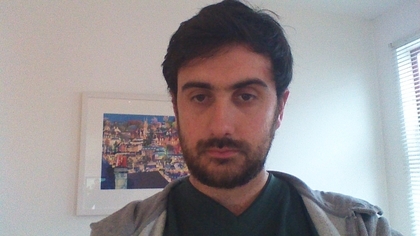 As Windows RT can’t run traditional programs you need to use the old style Windows Explorer less, but it’s still on hand for browsing file systems, USB sticks, organising folders and more. The ‘charm’ bar to the right also includes search and share buttons and these are threaded through every part of the OS, from files to settings, to the information held within apps. Another triumph is the on-screen keyboard, which is large, sensitive and easy to use. It’s not as smart as some third-party keyboards on Android, but we typed with two hands quickly and accurately and the extra inch of screen space made it much easier to use than its iOS counterpart. We had a few problems with the large keyboard panel blocking information we needed, but the icon to show or hide the keyboard is always on hand in the bottom-right corner of the desktop. As we’ve already mentioned, performance is a slightly mixed bag. The system is always responsive, with silky smooth transitions and snappy navigation. However, we found that some apps were slow to load, with lingering splash screens. What’s more, 1080p playback was a few frames per second short of perfect. While we wouldn’t say that the Tegra 3 chip performed appallingly, there’s certainly no headroom, and it seems to be the graphics core that struggled most. Multitasking apps never missed a beat, but it was loading the graphically-intensive apps and movies that showed the biggest strain on the processor. Even some basic games ran at a noticeably low frame rate, so it seems that Windows RT might need some optimisation. 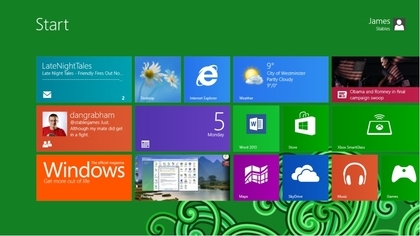 With Windows 8, Internet Explorer 10 comes in two flavours, the traditional desktop version and a ‘metro’ or ‘Modern UI’ version that runs within Windows RT’s HTML 5 Start screen. The former is exactly the experience you’d find on any Windows 7 PC, and the pros and cons of Internet Explorer are covered extensively in our review here. It works well, is snappy and responsive, but the experience is woeful on a touchscreen device, with tiny areas making navigation painful. 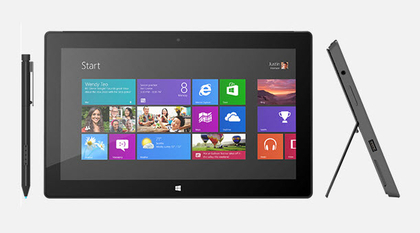 Enter the new Windows 8 version, which offers a touch-friendly interface for users of devices such as Surface. It takes a little getting used to, with tabs revealed by swiping from the top, for example, and the lack of plug-ins and features again will leave power users frustrated. The experience is enhanced because all superfluous elements have to be toggled, such as the address bar, options and tabs. You have to swipe from the bottom or top to reveal these features, which leaves the viewing experience clean and pure. Tilt the tablet into portrait mode and IE reflows the page smartly, although the change was far from snappy and sites often stopped responding momentarily. Bookmarks, however, are a huge oversight of the Modern UI version of Internet Explorer. To open a bookmarked site you need to load a blank tab, and then scroll across to one of your favourites. It’s unintuitive and unsuited to large amounts of favourites and will certainly cause frustration for people who are used to using large lists of bookmarks. We also found that compatibility with some sites was lacking, showing that, like the Windows Store, the ‘metro’ version of Internet Explorer is still a work in progress. Some sites became unresponsive and sometimes elements wouldn’t load. An example of this is close to home: the comments section on TechRadar doesn’t load in Internet Explorer, and there are plenty of these types of quirks, or errors as we like to call them, which make using the built-in browser frustrating. Hopefully Microsoft can iron out these problems quickly, because it does detract from a smooth, clear and visually pleasing experience. Pinch-and-zoom was fast and responsive, fonts rendered quickly, and sites filled the 16:9 screen to offer an excellent experience. What’s more, with flash support built in, Microsoft has the opportunity to provide the best tablet browsing experience on the market. Of course, you could try a different browser, but as this is Windows RT you can only choose from what’s on offer on Windows Store. At the time of writing, Mozilla is preparing a version of Firefox but it’s yet to appear, and there’s no Google Chrome or Opera yet. Media is a key part of any tablet, and while Surface puts its emphasis heavily on multitasking and productivity, it’s still a media consumption device. 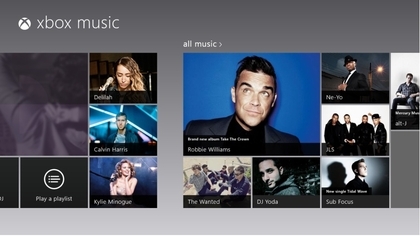 Microsoft has pulled a lot of its services together for Windows 8, including providing two apps which plug into the well-established Xbox Music and Xbox Video apps which are supplied as standard on Surface RT. These offer movie purchases and rentals and the Music app even enables free streaming of 30 million tracks, with a Spotify-style subscription model. If you want to know more about these in detail, then head over to the Windows 8 review, but it makes Surface an excellent media-focused device. The 16:9 aspect ratio means TV and movies look great, and Microsoft has also called in favours with the likes of Netflix for great content from third parties, and we hope there will be more to follow. In terms of the content on offer from Windows Store and the built-in Xbox Store it’s clear that Microsoft is still very much in third place in the lead up to Christmas. The selection of movies is incomplete, TV shows are too US focused and too expensive, games is a strong area for Windows but it’s yet to take off and books are catered for almost soley by Kindle. 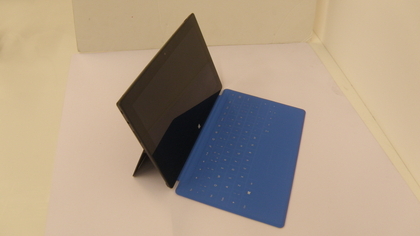 As a device for enjoying them, however, Surface works well. The kickstand means you can prop it up to enjoy movies or shows on iPlayer (which work from within the browser in the absence of a dedicated app). There’s also micro HDMI, which means that Surface can be connected to a TV or external display, and used in presentations much more easily than the iPad. 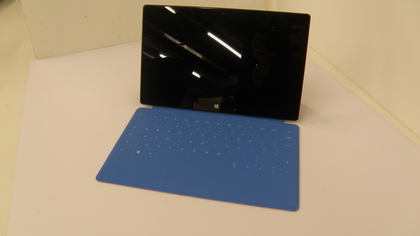 Of course, Surface has a trick up its sleeve that the iPad can only dream of. The ability to watch media files of all types and be able to load them via USB or MicroSD, rather than the annoying proprietary iTunes software, is a big coup for Surface. 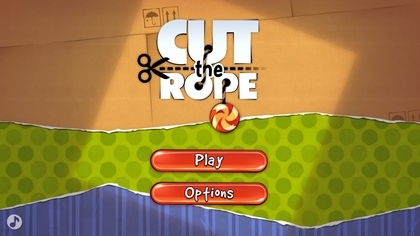 One of the headline features of Windows 8 is the introduction of apps, and the Windows Store is the Google Play and App Store of the Microsoft world. As many competitors have seen, having a packed app store is the only way to compete with the likes of the iPad, and Google’s rapid expansion of its Play store has been a huge driving force of its recent success. Unfortunately, Microsoft has not been able to launch Windows Store with anything like enough apps to call its store a success. We have no doubt that soon Windows Store will be a thriving metropolis of new releases and with a huge install base predicted by the end of the first year, developers should be scrambling over themselves to be a part of Windows 8. 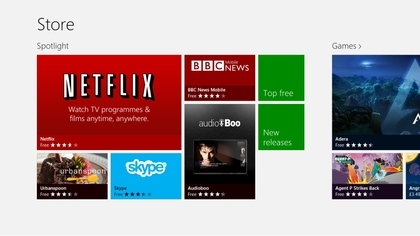 However, we can only review what’s in front of us, and at present, the Windows Store is not good enough. The big-name brands just aren’t present, and while the store grows every day, the poor selection hobbles Surface’s potency as a great tablet. The staggering part of the problem is that this is basic functionality. Microsoft is reported to be putting $1bn behind the marketing of Windows 8, but a fraction of this money could have been used to pay for the big name apps to be made: Sky Go, BBC iPlayer, Instagram, VLC, Google Chrome; they’re just not there, and it’s to Surface’s detriment. There’s no shame in putting money behind this kind of project, but allowing early adopters to experience this kind of app abyss is inexcusable. As a gaming device Microsoft Surface could be potent. While we have highlighted performance questions, there’s no evidence of this manifesting in games so far, and as Windows is historically a gaming platform, this could mean an exciting future for tablets such as Surface. Tablet cameras are destined to make the user look like a special kind of moron, but in the interests of personal choice Surface is equipped with a 5MP rear camera capable and a VGA front-facing lens. Both can also capture video, both of which can capture 800p video in 16:10 and 720p in 16:9. 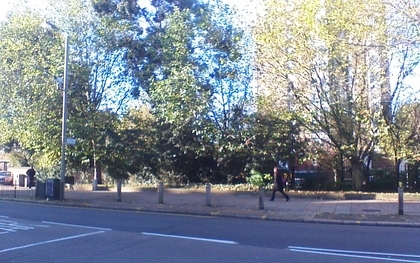 This is low spec for a modern tablet, and the result is slightly grainy pictures that are unsuited to proper photography. We found that close-up shots couldn’t focus, and in dim lighting conditions our shots became noisy. What’s more, there’s no flash should you be snapping in dark conditions. However, when there’s an abundance of natural light the quality of shots improves, as you can see from our fetching cat in the above photograph, which is available from all good Turkish bazaars. Video was better and maintained a decent frame rate at 800p, but the bulk of the tablet, the grainy quality and the effort of firing up the app from the Start-screen tile, before switching into video mode is such that we can’t see anyone bothering to capture those impromptu memories on their Surface. We’d have liked to have seen a better front-facing camera which would be used for chatting via Skype or other messaging apps, but it does nearly as good a job as the rear camera, and the quality is good enough for chatting to friends and family on the web. In terms of modes, there are few options to tweak your settings or macro modes, though there is a timer feature to snap group shots. If you need one good reason for Microsoft developing Windows 8 for ARM processors and possibly creating mass consumer confusion with Windows RT it’s battery life – so the benefits need to be immediately apparent. Fortunately, battery life was a huge success on Microsoft Surface, with fantastic longevity which puts it among some of the longest-lasting tablets money can buy. 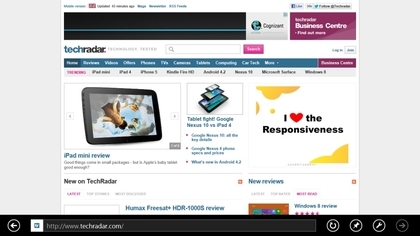 We looped a 1080p WMV video in the built-in app that ships with Windows RT until the battery died, a test we run on every tablet that graces the TechRadar testing lab. Under these conditions Surface lasted an impressive 450 minutes, equaling a gob-smacking 7 ½ hours. This is nearly two hours longer than the iPad 3, which suffers from powering that glorious Retina display. To put the benefits of Windows RT in perspective, the Sony VAIO Duo 11 lasted just 2 ½ hours under the same conditions. This is thanks to its power-hungry Intel Core i5 processor, which is the same you’ll find at the heart of full-sized Ultrabooks. It’s also impressive in everyday use, with a standard day of use barely making an impression on the meter, and Surface can easily last for three days on a single charge, with moderate use. In terms of processor performance, the results backed up our initial observations regarding general performance. Sunspider, which tests Java performance, logged a result of 1060 ms which is strong, but the more graphically-intensive PeaceKeeper returned a score of 337, which puts it way behind the iPhone 5 (907) and Samsung Galaxy SIII (680). Interestingly, the Google Nexus 7 also stormed ahead with a score of 489 despite featuring the same Tegra 3 chip. Sound quality isn’t great from Surface’s in-built speaker, and it’s worth investing in a pair of headphones. It’s not as loud as the iPad and the sound is tinnier, with the single speaker grill located on the top right, leading to a poor balance of sound. Microsoft Surface is a strong entrance to the world of PC hardware for Microsoft, and as a device it’s certainly highly recommendable. The solid build, kickstand, the associated rage of keyboards and big screen make it adept for both work and play, and it’s the closest device we’ve seen to a true hybrid. It’s not the world’s most advanced tablet and performs solidly without excelling in any particular area. A great example of this is the screen is bright and clear, but relatively low resolution compared to new kids on the block like the Sony VAIO Duo 11. Another is the processor, which noticeably struggles at the highest graphical demand. However, the lack of Windows Store apps means that Surface is still firmly a device for early adopters. Anyone who forks out the £399 basic price will have to lump the lack of big-name apps for the foreseeable future, and by the time this problem is overcome, we could see a refreshed Surface. 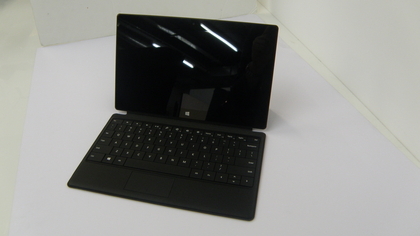 But Surface represents a great value tablet that will get stronger with time, so if you’re looking for a superb all-round Windows tablet which can double as a work machine, with bags of potential and head-turning appeal, then Surface should be high on your list. 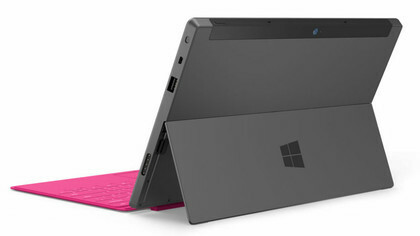 The great build and built-in kickstand is a key part of Surface, and provided us with plenty of pleasing moments when we momentarily searched for a place to prop up our tablet before remembering there was no need. 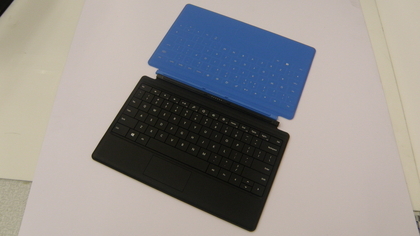 The detachable Touch Cover and Type Covers with their multi-touch mouse trackpads for working in the traditional Windows environment were also some of the best mobile keyboards money can buy, and the lack of hassle in linking via Bluetooth, and the associated power drain with wireless technology makes Surface a true laptop replacement. The Windows Store needs a lot of work, fast. With the potential of Windows 8 being able to run across PC, tablet and the allure of a well-received Windows Phone 8, it shouldn’t be hard to attract developers. However, here we are, with a predictable shortfall in apps which will slow the pace of adoption, which will in turn slow the pace of developer attention. Microsoft needs to break this cycle. The loading time of Windows apps was also disappointing, as was the drop in frame-rate on our 1080p video tests. While the latter was barely noticeable and wouldn’t catch the attention of 90% of Surface buyers, the time spent looking at app splash screens was a cause of irritation. The interface and navigation of Windows 8 needs to be snappier on Surface, and then consumers will appreciate it. Surface makes you want to pick it up and play, pleases you with the delivery of Windows RT and the live tiles make it feel personal and alive. Performance is a real issue, but since Tegra is at the heart of high performing tablets, we hope that RT can be tweaked to iron out slowdown issues. Microsoft’s hardware designers should be applauded for delivering a solid tablet which delivers a great experience, but now it’s down to the fortunes of the Windows Store to decide whether Microsoft Surface is remembered in history.